The neutron is the particle in the atomic nucleus with a mass = 1 and charge = 0. Neutrons are found together with protons in the atomic nucleus. 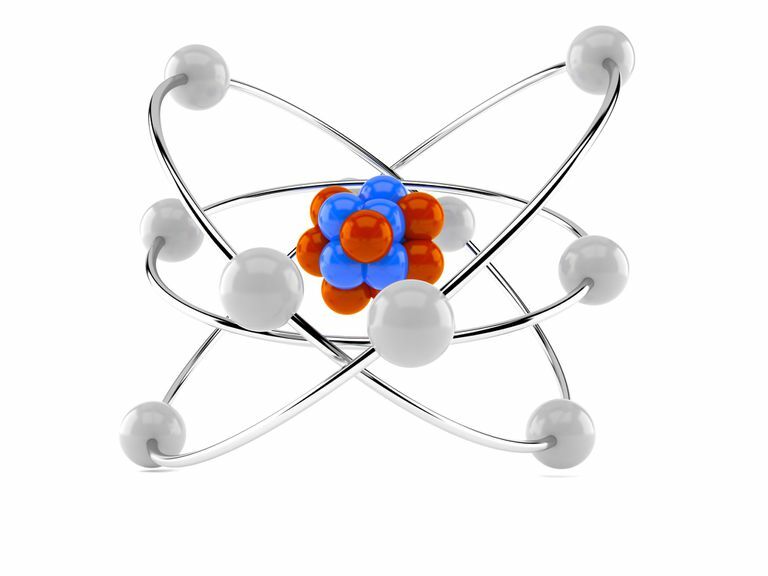 The number of neutrons in an atom determines its isotope. Although a neutron has a net neutral electrical charge, it does consist of charged components which cancel each other out with respect to charge. A neutron is a type of hadron. It consists of one up quark and two down quarks. Although the mass of a proton and a neutron are comparable, especially compared with the much lighter electron, a neutron is slightly more massive than a proton. A neutron has a mass of 1.67492729 x 10-27 kg. A neutron is considered a type of fermion because it has a spin = 1/2. Although it's possible to eject neutrons from the nucleus, the free particles don't last long before reacting with other atoms. On average, a neutron survives on its own about 15 minutes.